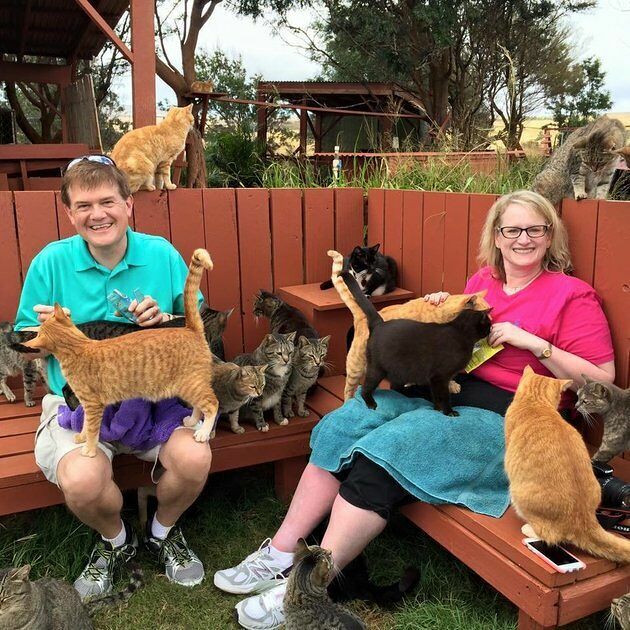 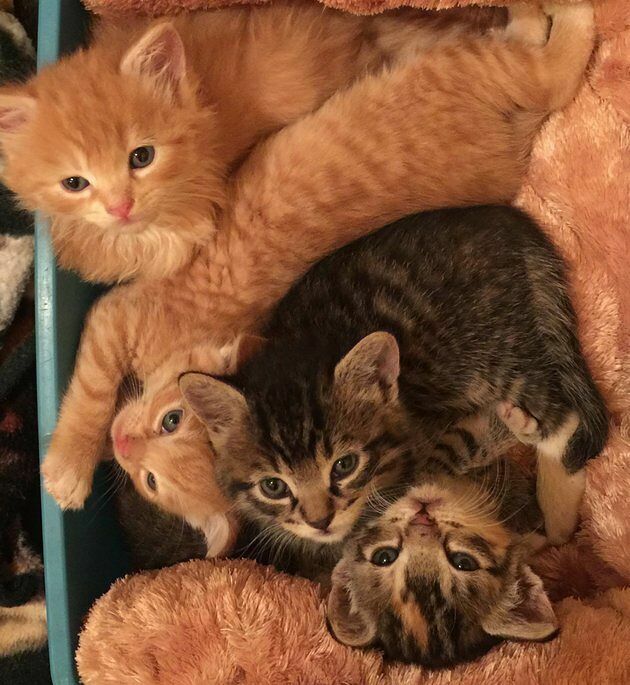 If your idea of heaven is hanging out with 100s of cute cats while on a Polynesian island then you might want to make the Lanai Cat Sanctuary in Hawaii your next vacation destination. 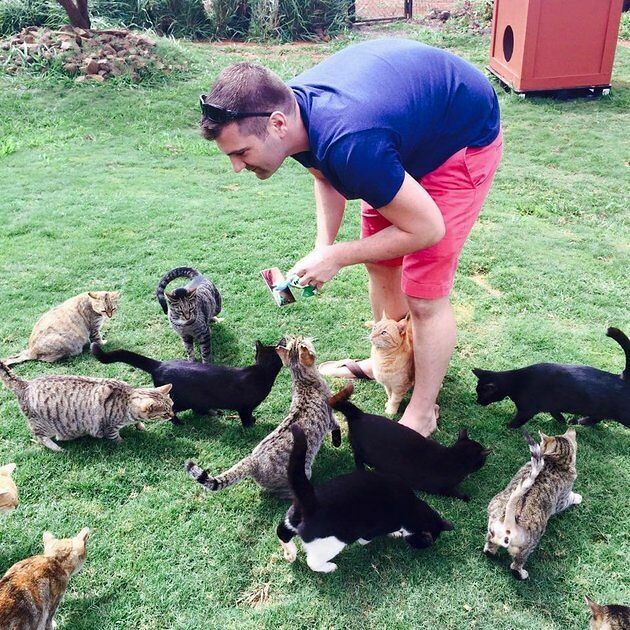 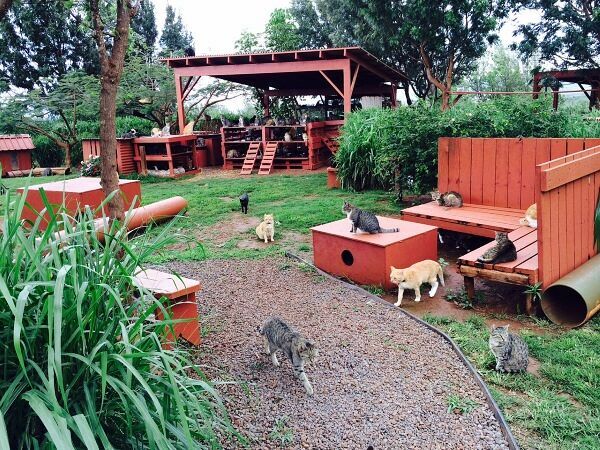 Located, unsurprisingly, on the small island of Lanai it's home to around 425 cats. 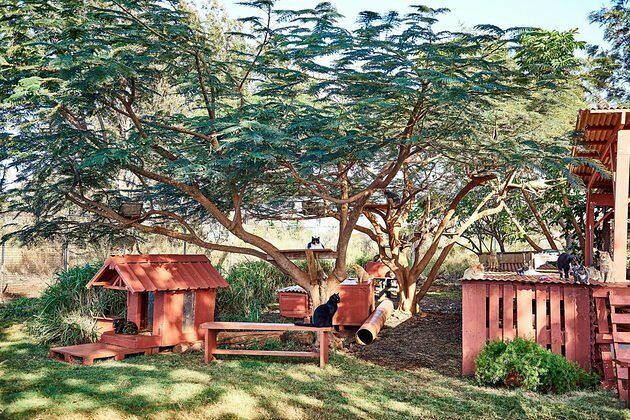 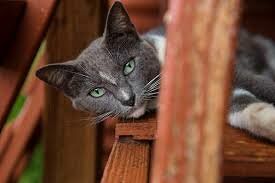 These cats are located inside the 25,000 square foot property where they roam freely, clambering around on the huts and trees, chilling on the grass, and generally loving all the affection from the visiting humans. 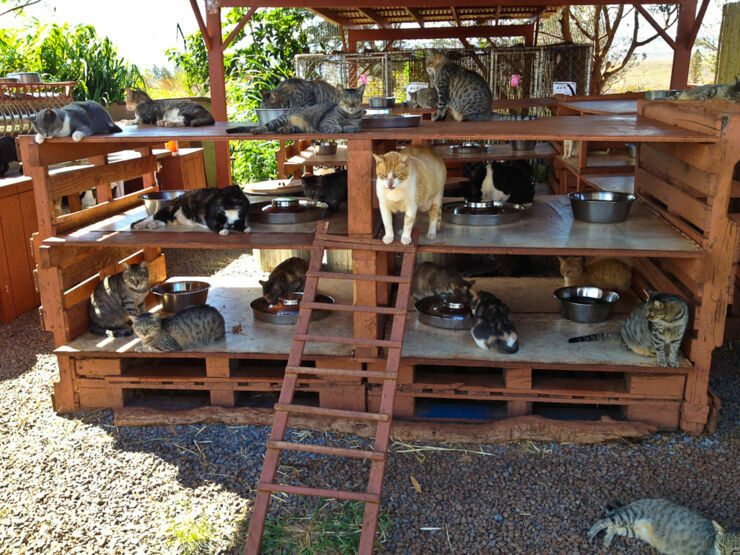 The sanctuary is run by Kathy Carroll who moved to the island back in 1994. 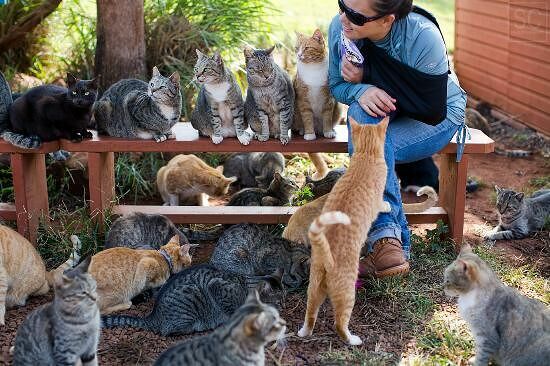 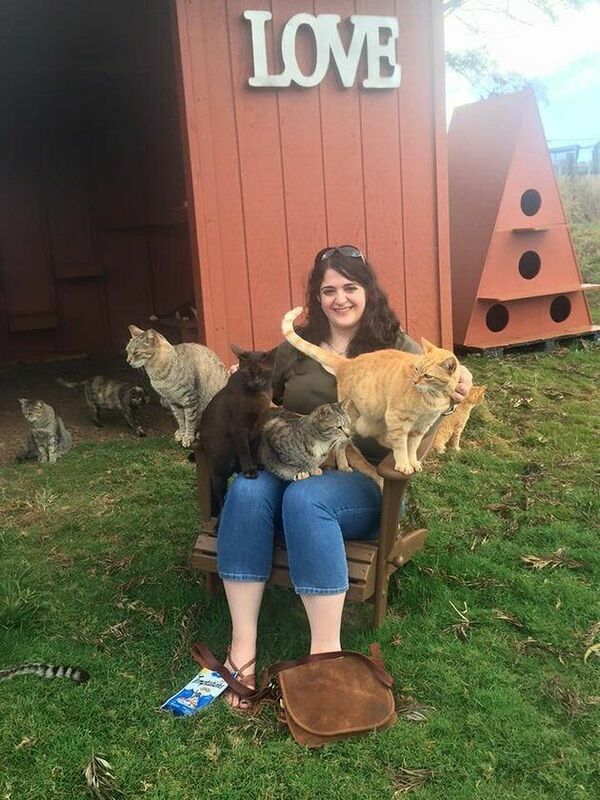 She noticed that it was home to a large population of stray cats, so she started to run a neuter programme. 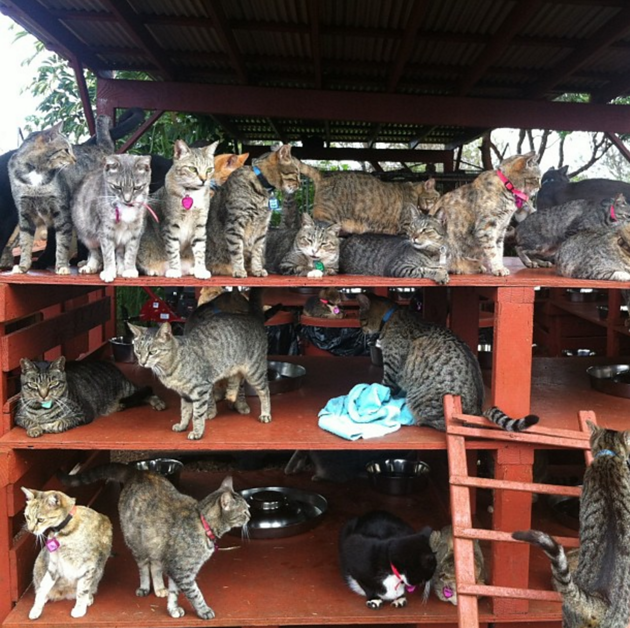 Volunteers would catch the strays, a local vet would neuter them, then they would release them. 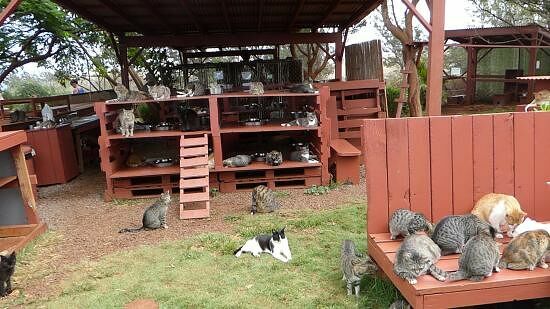 However after a few years of this a colony of endangered birds was found on Lanai, so the cats needed to be contained. 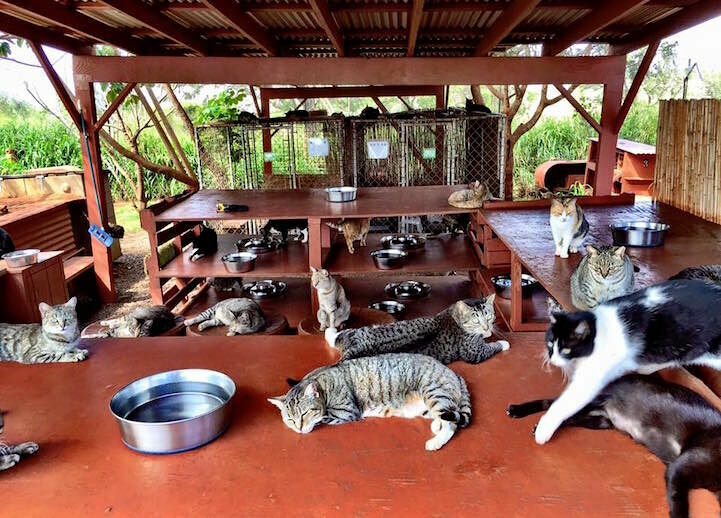 That's when Carroll decided to found a shelter, but one that was open and cage less (although it is fenced off to protect the birds) to house what Carroll calls Lanai's "little lions." 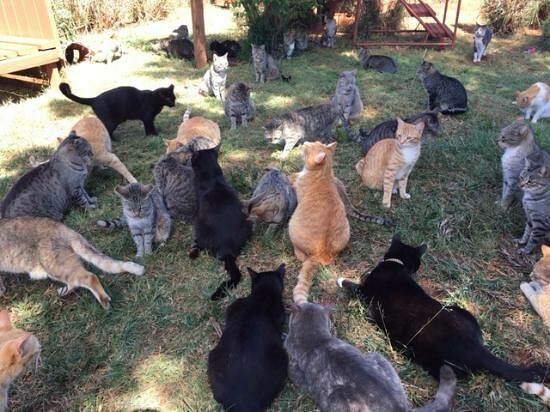 As well as housing the cats, due to it having so many and them roaming so freely, the place has now become a tourist destination for cat lovers. 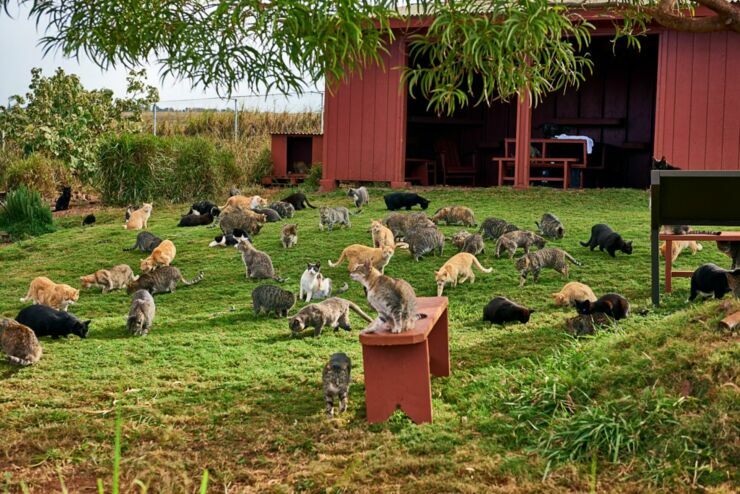 Hundreds of people visit yearly, some coming to the island just to visit the sanctuary. 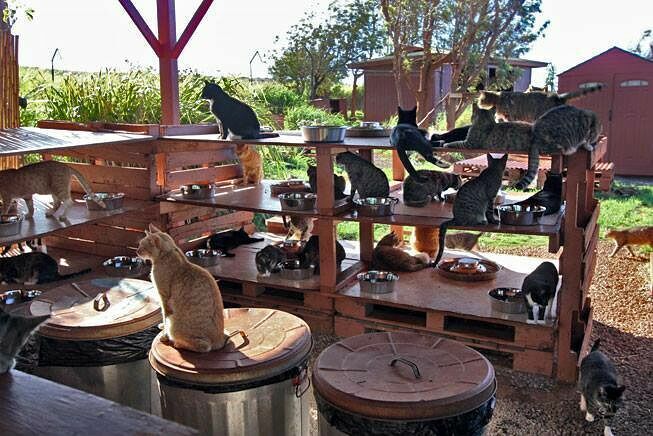 If you take a fancy to a particular feline, you can adopt them and take them home. 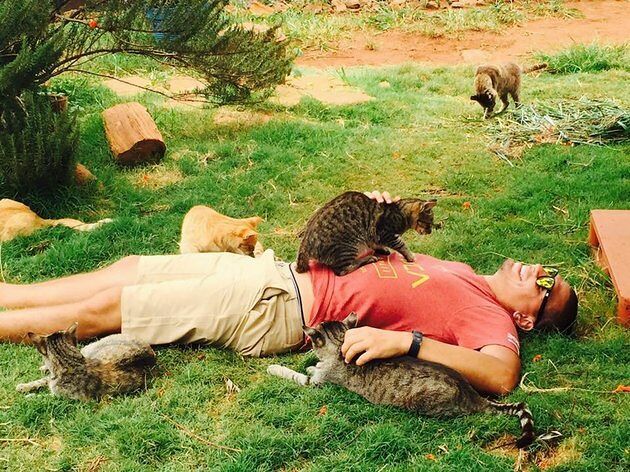 Or you can just lie on the floor and let them climb over you. 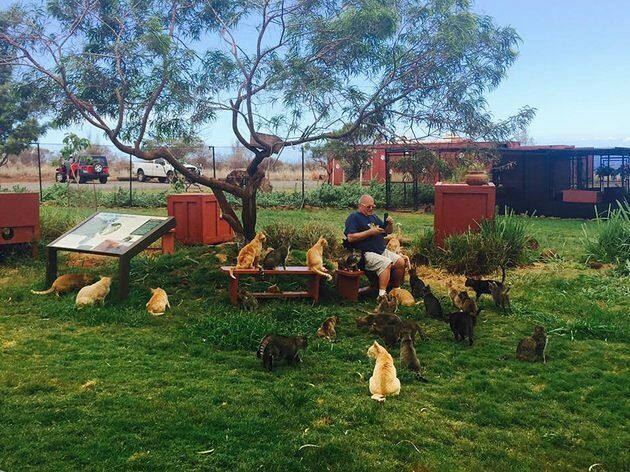 If you want to visit it's open daily from 11AM to 3PM for guests. 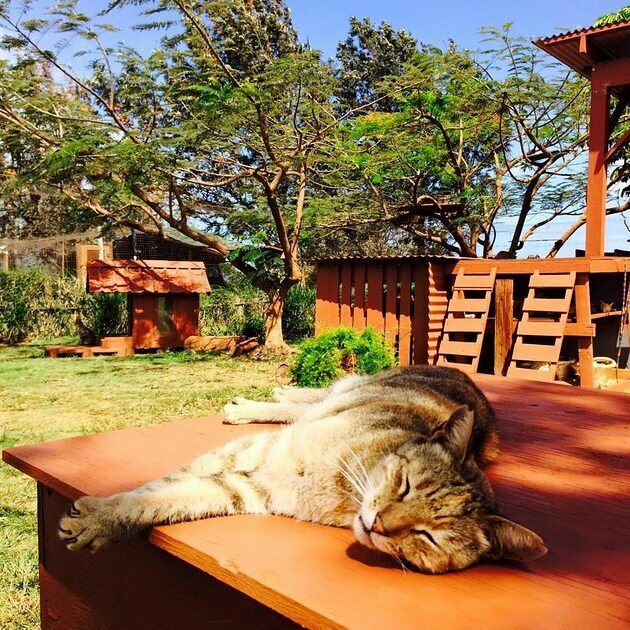 You can check out some pics from this kittah paradise below.